This Steam Punk top hat has gears, feathers, and copper color goggles. 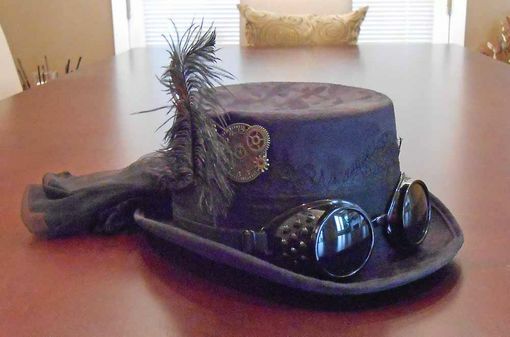 This top hat is great for any Steam Punk or Halloween costume. Two colors to choose from.